The prevalence of e-commerce has created an ease of supply and demand in the world of retailing over recent decades. With this ease of access, alongside growing global trade routes and higher relative income levels, there has been a substantial rise in the freight sector to aid in these developments. A key component to this rise has been the use of the truck in the movement and delivery of goods. Road freight activity (in terms of tonne-kilometres, tkm) has increased concurrently with national levels of income, however, truck tkm have also been influenced, to a lesser extent, by fuel prices, infrastructure, and availability of resources. Running a linear regression across 1,900 observations of multi-national freight activity data showed a global long-run elasticity of road freight tkm per capita to GDP per capita of 1.06, indicating a very close correlation between income levels and road freight activity. For example, between 1975 and 2015 the tkm of trucks has doubled in the US and in Western European countries while it has increased by 9-fold in India and 30-fold in China over the same 40-year period in line with the rises in the national Gross Domestic Product per capita [1,2,3,4]. 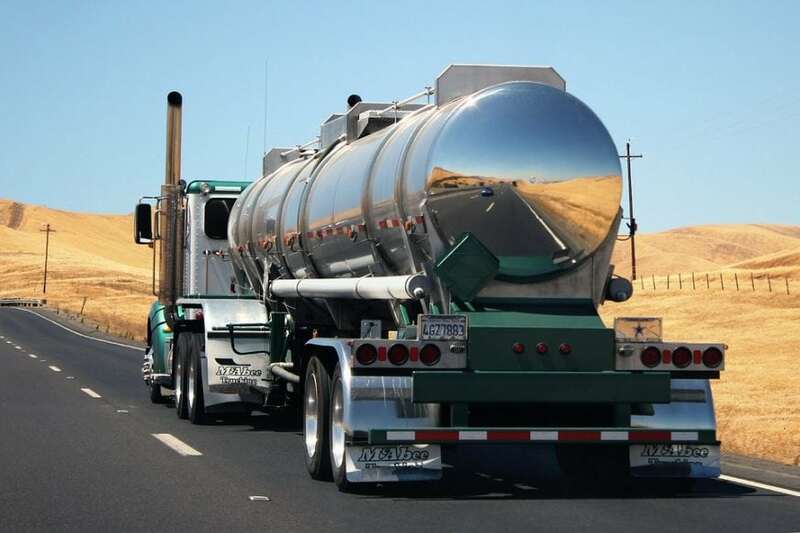 This international rising dependence on road freight as a method of transporting goods has led to a concerted rise in the demand for liquid fossils fuels in the sector. In 2015, the trucking sector was responsible for consuming 18% of annual global oil primary energy. In comparison passenger vehicles consumed 25% in the same year . As emerging regions continue to develop and experience rising incomes into the future, a greater strain will be placed on the demand for liquid fossil fuels without policy intervention. While freight is a key player in global energy demand, there has been a lack of focus set on the road freight sector relative to others. For example, of the 133 submitted Intended Nationally Determined Contributions (INDCs), which represent national mitigation and adaption plans of 160 countries intended to comply with the ambitions set by COP21, only 13% mention freight while 61% mention passenger transport . In a further comparison against passenger cars, standards mandating minimum fuel economy of new sales of heavy-duty road freight vehicles in 2015 covered about 50% of heavy-duty truck sales, while fuel economy standards for light-duty vehicles covered more than 80% of sales [7,8]. This proves problematic in establishing a low-carbon future in line with the long-term decarbonization targets laid out in COP21. Based on the current INDCs, well-to-wheel greenhouse gas (GHG) emissions in the trucking sector are expected to rise by 56% between 2015 and 2050 – far from complying with limiting global temperature rise to “well-below 2 degrees” as hoped for in COP21 . This leads to the question of what lies in store for the future of trucks if we are to conform to these global emission standards. There are a plethora of alternative fuels available for trucks, including a changeover to a new fuel, such as hydrogen or electricity (Tesla recently announced their all-electric truck will be expected to hit the roads by 2019), or else through substituting liquid fuels with various forms of biofuels. The cost of lithium-ion batteries remains high, with prices about $270/kWh in 2016 preventing electric mobility of large heavy-duty vehicles to become competitive against its liquid fossil fuel counterpart. However, battery costs have fallen rapidly from over $900/kWh in 2010 and have the potential to fall to below $100/kWh over the coming decade . This means electric powered freight may be utilized for smaller vehicles used in a metropolitan setting. Overhead catenary lines enable electrical power transfer via overhead retractable pantograph on larger, heavy-duty trucks. The costs of installation stand close to $1.6 million per km with prices expected in half by 2050 . Inductive charging allows wireless electric transfer of power through the installation of coils capable of generating an electromagnetic field in the road, and on the bottom of a vehicle. This technology is far from mature and comes with higher costs and lower efficiency. Conventional liquid biofuels derived from organic matter can currently be mixed with diesel to about 10%, although advanced biofuels, such as hydrotreated vegetable oils are permissible for blends up to 100%. The higher costs, availability, and assurance that too much competition does not arise between food and fuel all remain issues preventing the mass market adoption of biofuels. Technical efficiency improvements of road freight will play a significant role in the long-term reduction of GHG emissions. Improving vehicle aerodynamics, light weighting, moving from manual to an automatic transmission, improving engine efficiency, hybridization and reducing idling time can be utilized to reduce fuel consumption in heavy duty and light duty road freight vehicles by approximately 30% relative to 2015 . Improving the logistics and operation of road freight systems can also contribute towards substantial energy savings. There are a plethora of these measures available such as co-loading to improve vehicle utilization, using smart vehicle communication and automation to platoon trucks, backhauling, retiming urban deliveries, and creating urban consolidation centers. A combination of all these measures, including switching to alternative fuels and improving the efficiency of trucks, either through technological advancements or through improving logistics, has the potential to reduce GHG emissions by 60% between 2015 and 2050, which would be in line with limiting global temperature rise to 1.75 degrees. Adopting policies targeting vehicle efficiency, including fuel economy standards and differentiated taxes on vehicle purchase, supporting widespread data collection and information sharing, and promoting the deployment of alternative fuels and the vehicles that use them lie at the heart of making this transition possible. These findings are described in the article entitled The long haul towards decarbonising road freight – A global assessment to 2050, recently published in the journal Applied Energy. This work was conducted by Eamonn Mulholland and Brian P.Ó Gallachóir from University College Cork, Ireland, Jacob Teter and Pierpaolo Cazzola from the International Energy Agency, and Zane McDonald from the University of California, Davis. BTS. U.S. tonne-kilometers of freight; 2015. Ministry of Road Transport and Highways. “Road transport statistics”, Government of India. 2016. http://morth.nic.in/showfile.asp?lid=2495. The National Bureau of Statistics. China statistical yearbook; 2015. Gota S. Land transport carbon emissions in 2050. COP22 2016. IEA. The future of trucks – Implications for energy and the environment. OECD Publishing; 2017. ICCT. Global passenger vehicle standards; 2014. IEA. Global EV Outlook 2017. OECD Publishing; 2017. Eamonn F. Healy is a professor of chemistry, organic chemistry, and biochemistry at St. Edward's University in Austin, Texas, where his research focuses on the design of structure-activity probes to elucidate enzymatic activity.